Founded in 2002, the film production and distribution company known as Focus Features serves under the NBCUniversal brand in its art house film department. Some of Focus Features’ blockbuster titles include Brokeback Mountain (2005), Coraline (2009), and Burn After Reading (2008) as well as a recent hit with Insidious Chapter 3 (2015) . As a subsidiary of NBCUniversal’s larger and more dominant film studio, Universal Pictures, Focus Features tends to be utilized more for speciality films, and after signing Laika Studios (a small stop-motion animation studio based out of Oregon) to a three film deal in October of last year as well as reviving Gramercy Pictures on May 20 of this year, it is likely that the trend of horror and animation will continue . Focus Features is a privately traded company and its financials are not public. 2015 has been a mildly successful year for Focus Features. It increased its total box office gross to $112.7 million (as of December 2, 2015, with Suffragette and The Danish Girl still in theaters), up 2% from last year’s $110.5 million. This increase bumped up its ranking on the top grossing film studios list to ninth place with 1.1% of the market share (ranked twelfth in 2014), however it is still eclipsed by its big brother Universal Pictures which holds the number one rank with $2.35 billion along with 23.9% of the market share . Focus Features broke its record for the number of movies produced in one year at twelve in 2014, and this year the film studio was able to match it . It also generated some revenue from DVD sales, with a little over $3 million coming in from Insidious Chapter 3, $1.1 million from Black Sea, and $400,00 from 5 Flights Up along with others whose revenues have not yet been listed . Written and directed by Leigh Whannell, Insidious Chapter 3 is the prequel and third installment in the supernatural horror film series. Set prior to the eerie events that surrounded the Lambert family, Insidious Chapter 3 chronicles Elise Rainier’s struggle to help a young girl who is in grave danger by using her psychic abilities to talk to the dead . Released in theaters on June 5, 2015, Whannell’s horror film was an instant hit, generating a $10.5 million box office gross on its premiere alone. By the time it was taken out of theaters in August 13, 2015, Insidious Chapter 3 had made over $52 million, cementing itself as the fifth highest grossing film produced by Focus Features of all time . Leigh Whannell was nominated for a “Directors to Watch” award at the Palm Springs International Film Festival for this film, which he won . Sinister 2, another addition to a supernatural horror film series, was directed by Ciaran Foy and premiered in theaters on August 21, 2015. The film follows the story of a young mother whose twin boys are haunted by ghosts . While it didn’t quite match the success of Insidious Chapter 3, Sinister 2 did pretty well for itself, grossing $4.67 million in the box office on opening night, almost $28 million in total, and generating the second highest Focus Features box office gross of 2015 (behind Insidious Chapter 3) and twentieth of all time . 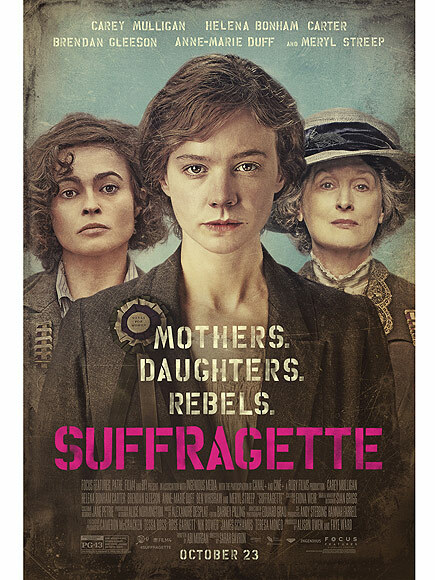 Suffragette, which stars big names such as Carey Mulligan, Helena Bonham Carter, and Meryl Streep is a historical drama set in Britain that tells the story of the early feminist movement and their fight against their barbaric State . Directed by Sarah Gavron, Suffragette was released on October 23, 2015 and grossed $22,618 despite premiering in only four theaters. It is now in its sixth week and has made over $4 million at the box office . It has won multiple awards, including “Mind the Gap” at the Mill Valley Film Festival (Sarah Gavron), “Actress of the Year” at the Hollywood Film Awards (Carey Mulligan), and the “Tangerine Entertainment Juice Award” at the Hamptons International Film Festival (Sarah Gavron), along with nominations for “Best Actress” (Carey Mulligan), “Best Supporting Actor” (Brendan Gleeson), “Best Supporting Actress” (Anne-Marie Duff), and “Best Supporting Actress” (Helena Bonham Carter) at the British Independent Film Awards . 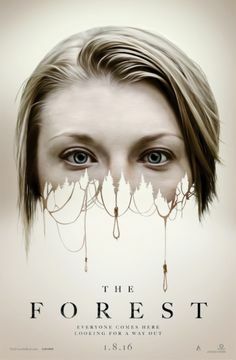 The Forest, which is yet another supernatural horror film, is set to be released in early January of 2016. It is directed by Jason Zada and stars Natalie Dormer. The Forest is based on the Aokigahara Forest, which is an actual Japanese forest where people go to commit harakiri. Focus Features purchased the rights to distribute the film domestically in May of 2014 . When the film studio revived Gramercy Pictures last May, The Forest was one of the films listed on their slate . 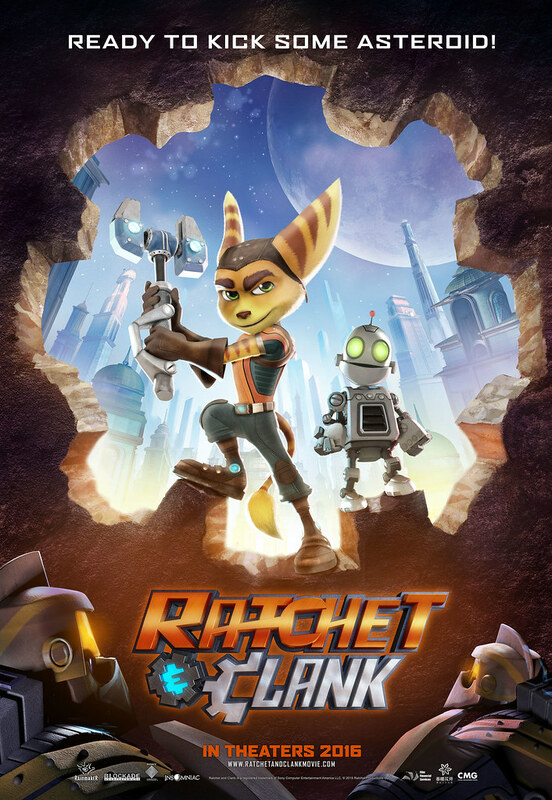 Co-directed by Jericca Cleland and Kevin Munroe, Ratchet & Clank is a comedy/action/ sci-fi film that is based on the Ratchet & Clank video game series and is computer animated. Sticking to its roots, Insomniac Games, the creators of the series, have had a major influence over the film from the story and character development to the animation and film production. Some of the voice-over artists from the original game series have returned to give their characters life once again. Also adding to the nostalgia is the utilization of elements specific to the video games in the film. Ratchet & Clank is set to be released in the US on April 29, 2016. With the recent revival of Gramercy Pictures, the three film deal Focus Features signed Laika Studios to last year following the success of The Boxtrolls, and this new partnership with Insomniac Games, expect to see a slew of horror (i.e. The Forest, A Monster Calls) and animated films (i.e. Ratchet & Clank, Kubo and the Two Strings) in the not-so-distant future . While it may seem like Focus Features is pigeon-holing itself, that may not be the worst thing. Because Focus Features is a subsidiary of Universal Pictures, and they are both subsidiaries of NBCUniversal, there is not too much pressure on Focus Features to consistently have blockbusters. Not to say that there would not be any repercussions if Focus Features didn’t have a big box office draw ever again, just as long as they have one or two films each year that keeps the competition on its toes (i.e. The Boxtrolls in 2014 and Insidious Chapter 3 in 2015) they will continue to thrive and produce the specialty films that they are known for. CBS Films was established in 2007. Located in Brentwood, Los Angeles, the feature film studio is dedicated to managing the development, financing, production, and marketing of quality motion pictures that span all genres. Currently, they release 4 – 6 movies each year. Their reach includes global distribution with partners as well as self-distributed titles in the US. What sets CBS Films apart is the budget size of the movies they produce and acquire. The pictures they release cost under $50 million each; they aim to reach the middle ground in between expensive franchise films, low-budget experimental art films, and “genre” films. As CBS Films is a division of its parent company, CBS Corporation, there is no specific financial information available for the studio. However, financial information regarding CBS Corporation’s Entertainment division is available, which encompasses CBS Television Network, CBS Interactive, CBS Global Distribution, CBS Television Studios, and CBS Films. The growth in revenue from the Entertainment division has been positive due to the result of higher domestic licensing revenues, growth in network affiliation fees, the first-cycle availabilities of The Good Wife and NCIS: Los Angeles, and an increase in advertising revenues driven by the CBS Television Network. This positive growth allows CBS Films to have sufficient funds and resources to continue its quality film releases. On the weekend of November 1st, the movie “Last Vegas” starring Robert De Niro, Morgan Freeman, Kevin Kline, and Michael Douglas finished in 3rd place at the box office garnering $16,334,566 on a budget of $28 million. Currently, it is still doing well and has stayed in the top 5 weekend grossing movies since its release. To date, it has earned $46 million domestically. November 19th, 2013 – CBS Films’ summer comedy, “The To Do List” became available for purchase on Blu-Ray and DVD. Columbia Pictures is a major film production and distribution studio, and primary wing of the Columbia TriStar Motion Picture Group. The company is a leading division of Sony Pictures Entertainment. With a history spanning nearly 100 years Columbia has produced over 3,500 films, many among them classics . Columbia has a long history, beginning in 1922 with producers Harry Cohn, Jack Cohn and Joe Brandt . They had originally called the company CBC, but changed the name to Columbia in 1922. They produced their first film More to Be Pitied Than Scorned that same year . Columbia grew quickly following Capra’s success, earning several academy awards, becoming one of the first major studios to invest in television , and launching Columbia Pictures Home Entertainment. In 1982, the company established an impressive television library with Columbia TriStar Television . The next year, Columbia formed TriStar Pictures with CBS and HBO . In 1989 the Sony Corporation purchased Columbia Pictures Corporation, bringing Columbia into its entertainment division. Since then, the company has had several major successes. They continue to dominate, but more as a film distributor and production studio for Sony’s major films . The executives for Sony and Columbia Pictures provide key leadership. Since 2008, Doug Belgrad has served as the president of Columbia Pictures . Since then, he has overseen some of Columbia’s most recent successes such as Captain Phillips and This is the End. Hannah Minghella serves as Columbia’s President of Production, having joined the company in 2005 and receiving a promotion to her current position in 2010 . Together, Columbia’s management has guided the company through varied amounts of success . Columbia works directly under Sony Picture Entertainment for its productions distribution, distribution deals, and financial ventures. Columbia is privately traded, so current financial data is unavailable . However, Box Office Mojo estimates that Columbia Pictures and Sony Pictures Entertainment have earned over $1 billion in gross sales this year, and controlled 11.5 percent of the market share . Despite some recent successes, Columbia Pictures experienced some criticism. According to a recent Bloomberg article, Sony Corporation has hired Bain and Co. to manage $100 million in spending cuts that are meant to improve Sony Pictures Entertainment. The article attributes some of the changes to After Earth and White House Down two recent film releases by Columbia . Like many major production studios, Columbia has many projects in development at any given time, though it has worked mainly as production house and distribution company for Sony over the past few years. The following releases are projects that the company has either released in the past year or recently put into development. According to Box Office Mojo, the film brought in over $200 million, but had a production budget of over $150 million . This was surprising given that the film released during the summer and had the makings of a blockbuster. The movie had to compete with a similar film called Olympus Has Fallen starring Morgan Freeman and Gerard Butler, which might have caused a divide in film audiences over which movie to see. Columbia Pictures and Sony might be able to salvage some profit with a home entertainment release since they will most likely retain the rights, but this film seems like a missed opportunity for Columbia Pictures. This past fall, Columbia Pictures managed the theatrical release for Cloudy With a Chance of Meatballs 2. The new film is the sequel to Cloudy With a Chance of Meatballs, a popular animated film that Columbia Pictures released in 2009 in conjunction with several other studios . This second installment has been a success relative to the summer mishap of White House Down, earning almost $200 million worldwide compared to a budget of $78 million . Columbia Pictures will most likely benefit from a profitable DVD release as well, bringing in more profit after the film closes in theaters. One of Columbia Picture’s most recent leases is Captain Phillips the suspense thriller based on the actual hijacking of Maersk Alabama, which was captured by Somalian pirates in 2009 . Tom Hanks plays the eponymous character Captain Richard Phillips, giving the film some major star power. The film has done well since its October release nearly doubling its budget of $55 million . Despite critical success for the film, a recent New York Post article criticized it for portraying a false story. The actual crew of the film has spoken out against the portrayal of Captain Phillips, which they claim to be completely false . The film does not seem to be suffering from this poor press, however. 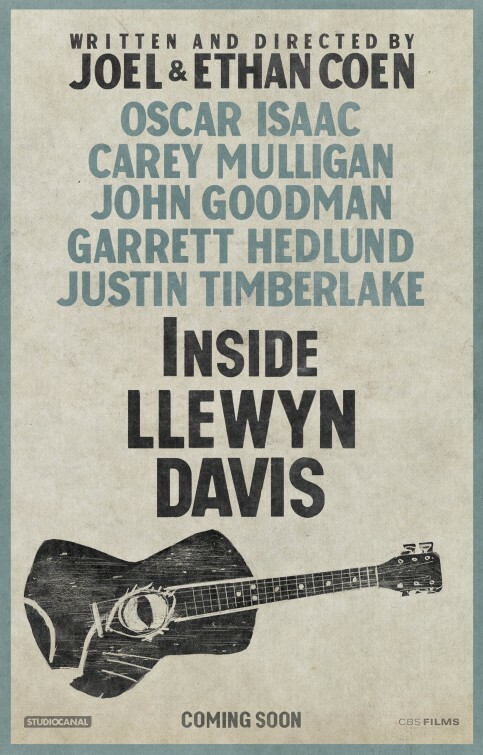 If the film receives any Oscars, it will probably have another wave of sales after its eventual DVD release. This film is a recreation of the 1987 sci-fi film of the same name. The story follows Alex Murphy, a cop who becomes a machine-human soldier after experiencing a nearly fatal injury . The film has some well-known actors, but the real appeal is film’s name itself. Given the popularity of the original character and the film’s President’s Day weekend release date, RoboCop should draw huge audiences for Columbia Pictures. Columbia Pictures has recently been listed as a production studio for some of Sony Picture Entertainment’s most recent acquisitions. One of the most notable acquisitions is Annie, for which Sony gained the film distribution rights this year . The film version of the classic musical is set to release next year. Columbia has also started developing projects based on the popular novels The Rosie Project and Tomorrow And Tomorrow . Both of these projects are still in development, but will join the slate of films that Columbia is set to produce for the coming year, including The Amazing Spider-Man 2 and RoboCop . Despite some of the financial criticism that Columbia Pictures received for some of its more recent box office disappointments, it is still one of the dominant film studios. And given some of the high-profile film’s on Columbia’s slate for the coming year, it will most likely retain its position as a major entertainment entity.